NOTE: The following originally ran in April of this year. 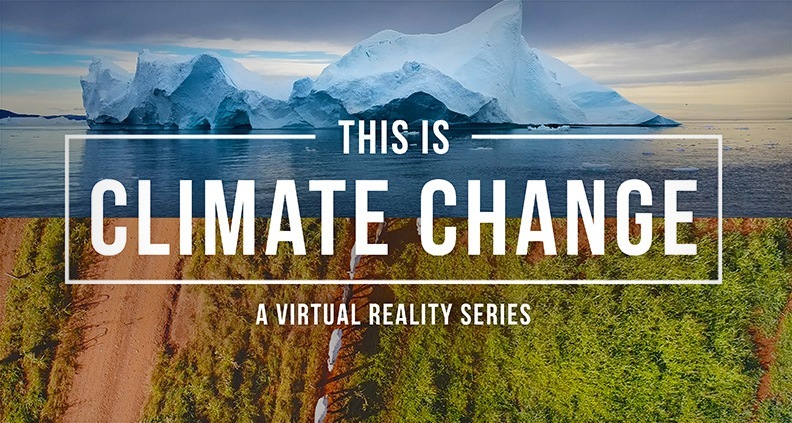 Danfung Dennis’s This is Climate Change: Fire will be featured as part of our new The Portal immersive storytelling showcase at the 2018 LA Film Festival. For more info (including how to purchase tickets) click here. Enjoy! As long as there have been motion picture cameras, filmmakers have been using the tools of cinema to place viewers inside extraordinary real-life experience. But even in the most gripping and visceral nature documentary, the experience is mediated by the constraints of the traditional film form—as a viewer, you’re only privy to what’s in the frame. But with the emergence of new VR technologies and 360-degree video, that’s no longer the case. Now, the immersive potential of nonfiction filmmaking is almost literally infinite. Just ask Danfung Dennis. A photojournalist and documentarian whose 2011 film Hell and Back Again won the World Cinema Grand Jury Prize at Sundance and was nominated for an Academy Award, Dennis has in recent years moved his focus to the emerging world of VR, co-founding the digital studio Condition One to create a series of immersive video pieces largely focused on the environment. With Condition One, Dennis and his collaborators have sought to bring the firsthand experience of climate change to audiences, getting up close and personal with bears and bison and traveling to far-flung locales such as Somalia and Greenland for his latest project This is Climate Change, slated to premiere this year’s Tribeca Film Festival. Can you tell us what Condition One is exactly and some of what you’ve been doing with VR and 360-degree video? Dennis: Sure. We’re a VR studio creating powerful immersive experiences. We focus on trying to create awareness and change on social and environmental issues. We try to combine documentary storytelling and that tradition with really advanced VR technology. And by necessity, we have to build a lot of new technology. We have our own cameras we’ve developed; we have our own proprietary stitching software. We have a couple apps on the various VR headsets. But really we’re storytellers and experience creators. We’ve been doing a number of series where you just get transported to another world. Like, you’re standing on the edge of an icecap and seeing a glacier just cap off and crash in front of you. You really get this very visceral, immediate impact of climate change that’s so often an abstraction. You mention you’ve developed some of your own cameras and your own stitching technology. Do you see Condition One as more of a technology company, a production company or both? Dennis: It’s a combination. Just sort of working in this early medium, a lot of it really is about the cameras and the tools and the workflow, this sort of load you have to commit to just to work in 360 just to be able to have an efficient way of working. The process all has to be developed from scratch. Now that it’s established, there are tools and we’re really starting to be able to dig into some of the storytelling challenges of the medium as well. We’re finding it’s possible to create something that doesn’t exist in any other medium. Photography and film, which are the mediums I come from, are both beautiful mediums for communication. This is just a different one. It’s just a new form of media that’s exciting to be in at the very beginning. How did you develop an interest in VR and 360-degree video? Dennis: I worked as a photojournalist in conflict zones for a number of years. I was working freelance for the New York Times in Iraq and Afghanistan, covering the toll of the war on civilians and making images that were being published pretty regularly. But they just didn’t capture the full extent of the destruction and the suffering, so I moved into video and shot a feature length documentary, Hell and Back Again. But again, it couldn’t fully communicate the experience of the people I was with. I started thinking about immersive mediums even while I was making the film. In our world when we look through our two eyes, it isn’t a rectangular frame. It’s all around us; we live in it. So I started tinkering around with experimental cameras trying to capture that first-person subjective experience. What recommendations do you have for creators from more traditional filmmaking backgrounds looking to get into VR? Dennis: It’s really easy now. There are so many 360-degree cameras out there that are very affordable and easy to use. So just shooting in 360 and getting that first step into 360 video is a good place to start, just to be thinking about this whole sphere you’re capturing. It’s a very different thought process than trying to compose a frame. You’re really trying to put the camera, the position of the camera, where the viewer will be [and] thinking about placing them in this environment. The image quality on the consumer 360 cameras is pretty low—it’s a good place to experiment and test, but the resolutions aren’t really good enough to be really satisfying as far as the final image quality. Where does 3D come in? Dennis: 3D is really for that headset when you want to have that deep immersion that comes with VR. Once you get into 3D, then you’re really starting to have that spatial element. VR has some pretty high technical thresholds to sync in, and 3D really helps with that, mimicking a very natural vision, stereovision. And then up from that it’s trying to get to these higher resolutions and higher frame rates that are needed to create something that feels realistic. And all that means is more data, more hard drives, more wrangling and more stitching time. Any mistakes you make at that higher end, they cascade down the workflow and it can get really complicated really fast. So figuring out the workflow becomes part of the process. But inevitably there will be difficulties that come with the territory when you’re dealing with a young medium. Tell us a little bit about This is Climate Change. Describe the project and tell us where we can find it. Dennis: Sure, yeah. It’ll premiere at the Tribeca Film Festival. It’s a total of four episodes: fire and ice, feast and famine. We’re looking at the impacts of extreme weather events and the people and animals that are being affected by climate change. We filmed in Brazil, Somalia, Greenland, and most recently the California wildfires. It’s really trying to put you into the consequences of climate change that are happening right now, getting a view into what’s going to be happening much more frequently and much more intensely in the near future. It’s hard to put yourself into that future and imagine it, but it’s happening now. People are feeling the consequences now. So it’s just trying to bring people to the places in the world that are the most vulnerable to these changes. Our own individual actions do matter, and they matter to people close and far. To learn more about Condition One’s pioneering VR work, please visit their website or follow Danfung Dennis on Twitter. Interested in learning more about VR and 360-degree video? Read our primer here. To see the full panel schedule and get your free ticket today, click here. 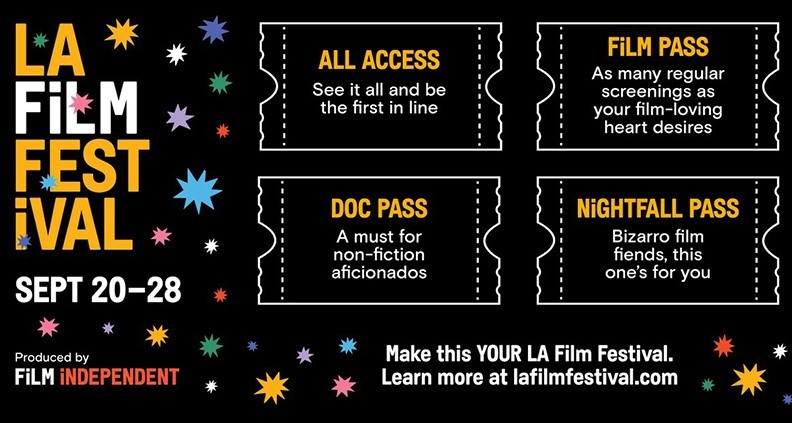 Festival Passes are currently on sale to Film Independent Members as well as the general public.